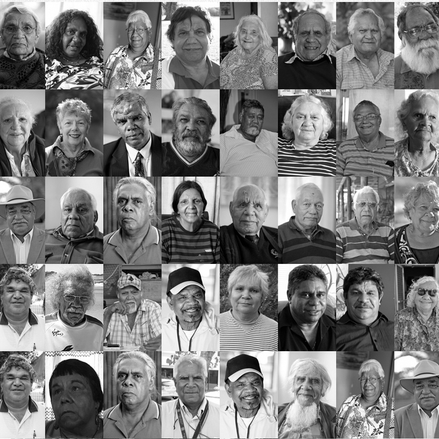 The ‘Stolen Generations’ Testimonies’ project is an initiative to record on film the personal testimonies of Australia’s Stolen Generations Survivors and share them online. By allowing Australians to listen to the Survivors’ stories with open hearts and without judgement, it is hoped, more people will be engaged in the healing process. The project has been created with the aim of producing a national treasure and a sacred keeping place for Stolen Generations’ Survivors testimonies. “For those people who do feel challenged by the Stolen Generations’ we ask you to listen to just one of the testimonies to see if you still feel the same. That’s all we ask.” - Debra Hocking, Survivor. The Federal Government launched the site at Parliament House on the anniversary of the historic Apology. To the Survivors of the Stolen Generations, we thank you for sharing yourselves and your stories with us so that we can feel and understand your pain. It is an honour to hear your testimonies. We acknowledge that your pain may never fade away. We also acknowledge what you have lost. Family and culture are among the most treasured aspects of our humanity. We hope that you gain a little strength in knowing that there are people who recognise and admire how you have managed your devastating tragedy. ​We send you our deepest respect.